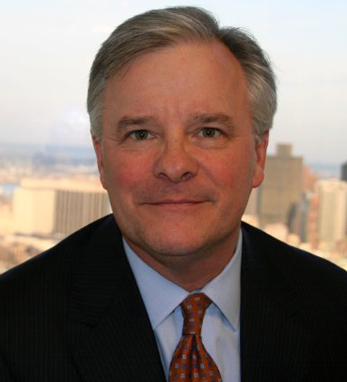 Francis C. Mahoney currently serves as vice chair for assurance for EY Americas, heading a staff of more than 20,000 finance professionals. Frank was appointed to this position in 2014, after serving as EY Global Audit Transformation and Innovation leader and with more than 30 years of increasing management titles at the company. Born and raised in Boston (his first job was a hot dog vendor at Fenway Park), Frank is a fourth-generation Irish American with roots in Cork on both his parents’ sides. “When I think about my Irish heritage,” he says, “I feel connected to a group of people who are widely known for an indefatigable work ethic, an openness to take on challenges and a tenacity that helps them see those challenges through.” Frank holds a B.A. from Boston College and has served on several boards in the Boston area, including Catholic Charities, Greater Boston Chamber of Commerce, Massachusetts Business Roundtable. He currently serves as a trustee of Xaverian Brothers High School and the Newton Country Day School. Frank and his wife Mary have four children, Sarah, Frankie, Lindsey, and Jack.